Annotation: Filled with soft, beautiful watercolor artwork and lilting text, this lift-the-flap book is about all the great things fathers do for young children. Full color. Contributor Bio(s): Harriet Ziefert was born in New Jersey. She grew up in North Bergen, New Jersey, where she attended the local schools. She graduated from Smith College, then received a Masters degree in Education from New York University. Harriet Ziefert's many books include A New Coat for Anna, the Hello Reading series and the Lift-the-Flap books, as well as picture books such as With Love from Grandma, and board books, including Dress Little Bunny and Feed Little Bunny. Ms. Ziefert was educated at Smith College and New York University. She has taught every elementary school grade, from preschool to grade six and is the author of a widely-used early childhood education program for language arts, reading, and social studies. Ms. Ziefert lives in Maplewood, New Jersey and Lincoln, Massachusetts. She has two adult sons. PreS-K-Parental roles are celebrated in these lift-the-flap books. Cartoon illustrations of multihued parents and children accompany simple statements such as those in the titles. Occasionally, thoughts are continued in text found beneath the flaps. The roles as described here are traditional ones. Daddies tease and play, offer a bit of comfort, and go to work. Mommies do a lot of caregiving, cook breakfast, and remind children of their manners. None of these women are shown working outside of the home and a picture of children getting off of the school bus is paired with, "A mommy waits for you to come home." 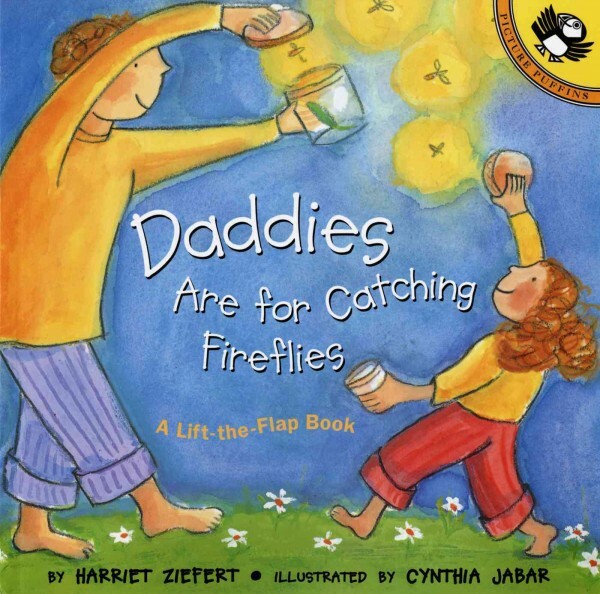 These books are not as charming as many of Ziefert's other titles or as effective as Laura Numeroff's What Mommies Do Best/What Daddies Do Best (S & S, 1998). Flap appeal aside, this is well-intentioned literary fluff comforting to those children whose lifestyles match the featured models.-Faith Brautigam, Gail Borden Public Library, Elgin, IL Copyright 1999 Cahners Business Information.